Doris Naomi Casey, age 83, of El Dorado Springs, Missouri, graduated from this life on January 28, 2016, at Community Springs Healthcare. She was born March 13, 1932, to Charles and Beulah Gruver. On May 11, 1952, she married her lifelong love, Clemit, who passed from this life on December 15, 2010. Clemit and Doris had two sons: Mick Casey of Forsyth, MO, and Dr. Rick Casey of El Dorado Springs, MO. Doris loved and cherished them both and was never happier than when they were all together. They had four grandchildren: Patrick Casey of Los Angeles, CA, Sarah Marcum of Nixa, MO, Scott Casey of El Dorado Springs, MO and Sean of El Dorado Springs, MO. The love they shared will endure forever. Doris also had six great-grandchildren: Taylor, Trey, Taryn, and Talon Marcum of Nixa, MO, and Abigail and Isabelle Casey of El Dorado Springs, MO, each one always bringing a smile to her face. Doris has one surviving sister, Joan McFarland and husband Mac of Del City, OK. She also had a brother Charles Gruver, Jr., of Los Angeles, CA, and a sister Betty Witt of El Dorado Springs, MO, who both preceded her in death. She also leaves behind two sisters-in-law: Ann Casey of Overland Park, KS, and Wanda Casey of El Dorado Springs, MO; as well as numerous nieces, nephews and many relatives whom she loved dearly. Doris was born and raised in Ft. Scott, KS, and after marrying Clemit moved to Kansas City where they lived for 28 years. She ran a successful catering business while raising her two sons. In 1976, they moved to El Dorado Springs, MO, where she and Clemit ran a restaurant for 26 years. Doris simultaneously owned a florist shop, and also catered for many weddings. She was also an excellent artist, and many of her paintings were displayed in their restaurant. After retiring from her florist business, she wrote a book “The Wedding Reception” which was published and sold throughout the country. She also wrote many songs, including one titled “Dreaming” which was published and recorded and used in her memorial service. Doris became a Christian at a young age and was a lifelong member of the Church of God (Holiness). She was an avid Bible reader who took a special interest in studying Christ’s Second Coming. She was also a prayer warrior and could be counted on any hour of the day to intercede on anyone’s behalf. Doris was so fortunate to have had such loving care throughout her lengthy illness from the staff at the Community Springs Healthcare Facility. Also special thanks to her daughter-in-law Karen Casey and her sister-in-law Wanda Casey who were so faithful to visit and assist her. Her laugh, wit, zest for life, love, and “very special” fried chicken will be missed by all who knew her. 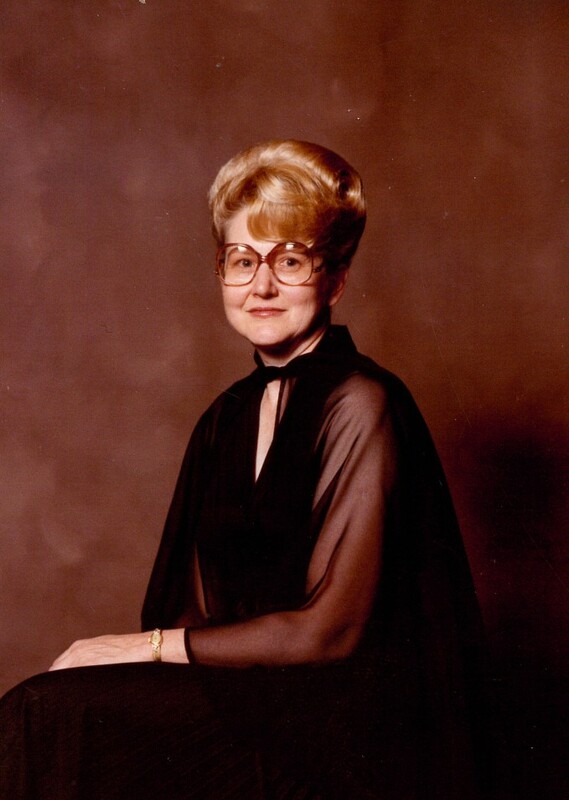 Funeral services for Doris Casey were held on Sunday, January 31, 2016, at 2:00 p.m. at Bland-Hackleman Funeral Home with Rev. Joe Trussell and Rev. Brent Bland officiating. Burial followed in the El Dorado Springs City Cemetery under the direction of Bland-Hackleman Funeral Home. Pallbearers were: Scott Casey, Barry Witt, Trey Marcum, Jacob Marcum, Randy L. Bland, and Lester Burres.